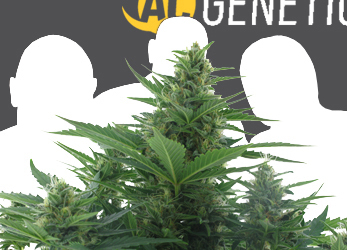 AC Genetics is an abbreviation of: Autoflowering Cannabis Genetics. Like the name suggests already; AC Genetics is a cannabis seed bank entirely focused on the production of cannabis seeds which automatically start to flower, no matter the amount of light they receive each day (= autoflowering). When the first autoflowering cannabis seeds came on the market some time ago, we immediately fell in love with these 'new' cannabis varieties. Even though the first autoflowering seeds had their limitations we were entirely convinced of the gigantic potential of these varieties and we started working with them immediately. For some time, we even nearly lost all interest in the 'classic' sativas and indicas! A couple of years, many hybrids and experiments later, we have created an extensive and interesting collection of autoflowering cannabis seeds. As mentioned before, all our varieties are 100% autoflowering. Additionally, all our varieties have an extremely short growing and flowering period with an average of only 60-70 days. From seed to harvest! For the outside grower this means it is now possible to harvest multiple times a year. Paired with the fact that these varieties usually do not get very large, this makes them incredibly suitable for balconies (even window sills! ), small gardens and places where they shouldn't attract too much attention. So, autoflowering cannabis seeds are very suitable for the discreet guerilla grower. Also, autoflowering strains are very suitable for the indoor grower, especially if space is an issue. All our autoflowering cannabis varieties have their own specific and characteristic qualities. We select all genetics on stability and reliability, but we also strongly focus on taste, effect and yield. Bringing the genetics one step further every time is our continuous challenge. In addition we would like to surprise you in the future with new, interesting autoflowering cannabis varieties. All our seeds are feminized, so they will only grow female plants. The seeds are produced in relatively small quantities and selected by hand. Our seeds are always fresh, ripe and have a strong germination. Each package comes with a batch number. AC Genetics is located in Amsterdam, The Netherlands.